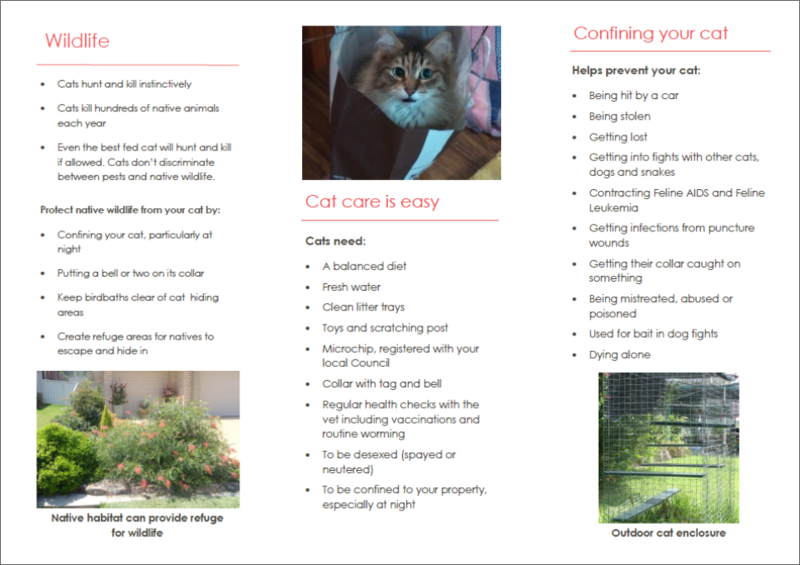 The LT Creek Sustainable Neighbourhood group has created a brochure to encourage residents to protect our local wildlife and responsibly care for our feline friends. The brochure covers general care tips, legal responsibilities, cat and wildlife management and desexing advice. It will be distributed to the households in suburbs of Blackalls Park, Fassifern and Fennell Bay in the coming weeks. It will be available to all other Sustainable Neighbourhood Groups and other community groups in the City of Lake Macquarie. 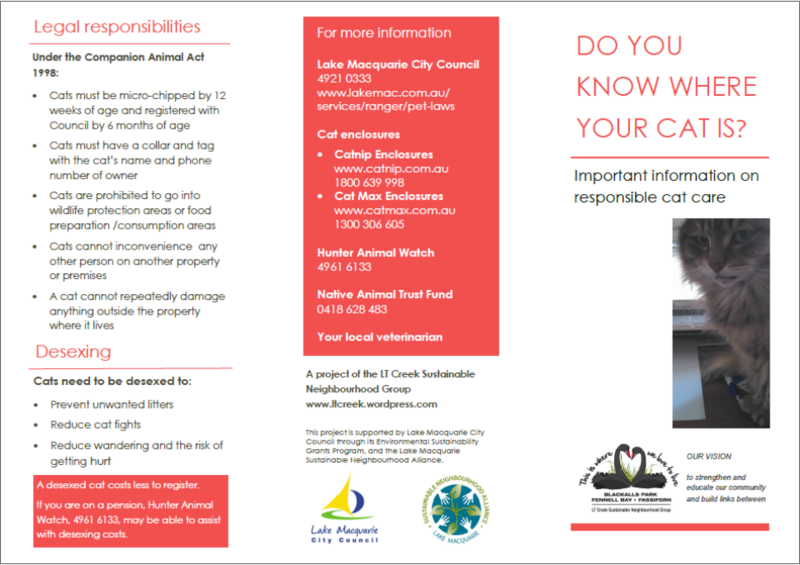 Through this brochure it is hoped that cat and wildlife management will improve, seeing a reduction in wildlife injuries and fatalities; people will be more aware of their responsibilities and the more cats will be desexed, thus reducing the number of unwanted litters. Would you like to distribute this brochure around your neighbourhood, or at local vets / pet stores etc? Please get in touch. We may be able to do an extra print run if there is enough interest. Find out more about the LT Creek Sustainable Neighbourhood Group.